I brewed Wednesday. 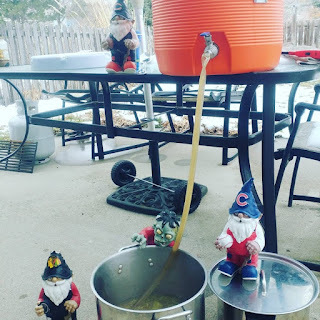 I had the week off work, so of course I had to get a brew day in. The beer I brewed was based on a long-time SheppyBrew recipe. Gringo Cerveza. Originally, I used this name for a Mr. Beer recipe. I even had a partial mash recipe. And ... eventually it become an all-grain recipe. 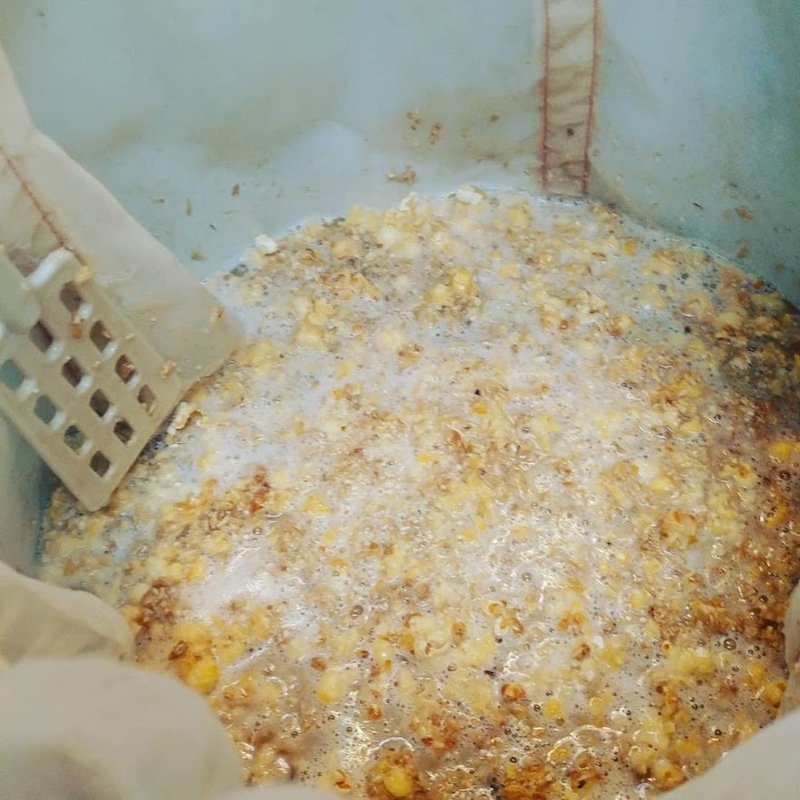 Sometime along the way, it became a Popcorn Beer. "Popcorn?" You ask. Yes Popcorn. A popcorn jalapeño beer. The jalapeños have become optional. 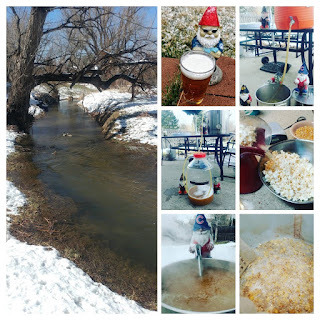 I got the idea of using popcorn in a beer when I listened to an episode of The Session on the Brewing Network about Sun King Brewery of Indianapolis, Indiana. One of their beers was a popcorn beer. 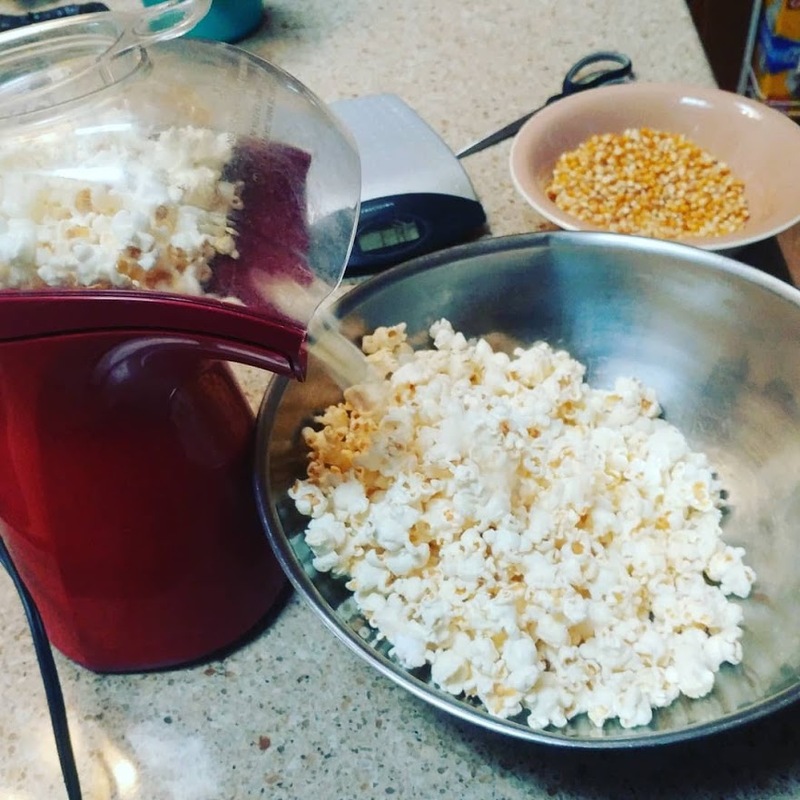 I decided to try the popcorn mash. Seemed that concept would work well with a jalapeño beer. It did work well. It is somewhat surprising that I have not brewed in it several years. The recipe is a fairly simple Cream Ale. Instead of using flaked corn, I had my wife help me find our old air-popper and popped up 14oz of popcorn. 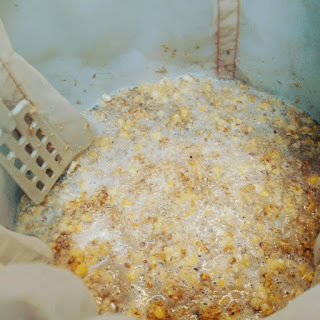 It gets added to the mash with the rest of the grains. It converts just like any other accessible starch. I got a real late start on this brew day. The mash went well. 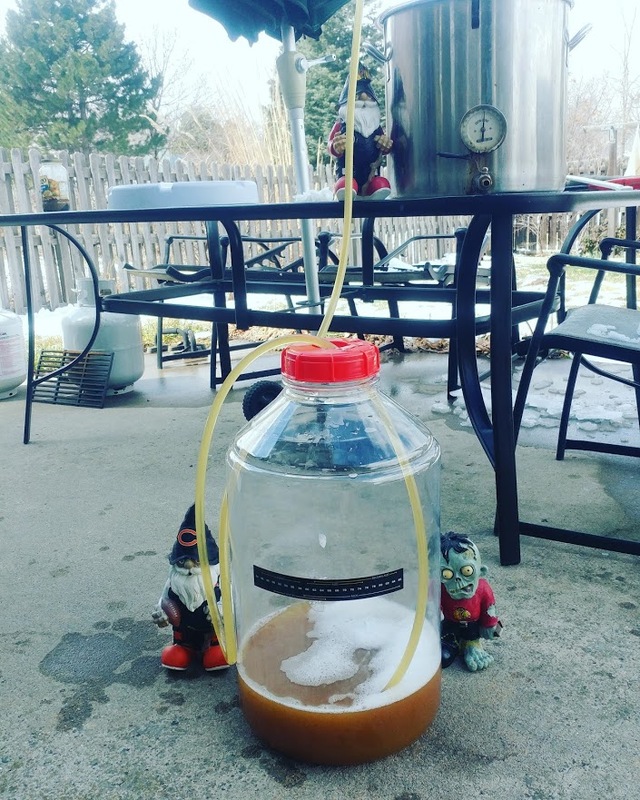 The wort tasted extremely sweet, so I am fairly certain everything got converted fine. I got the wort collected. 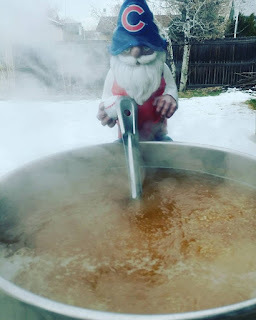 The boil was fine. My propane tank ran out somewhere in the middle, but I was on top of the situation and got the tank switched out. The final gravity was a bit low, but since I'm fine with lower ABV beers, it doesn't matter. The fermentation took off sometime before the start of the next day. The yeasties are rocking and rolling. When I have a keg available, I'll get it kegged up. I won't be adding jalapeños to the keg or even a side batch. I may add some jalapeño (or other peppers) to a few glasses. It will just be a standard American Cream Ale on tap. As always, you can always keep an eye on the regular SheppyBrew Channels to see what is happening with this beer (and many others): SheppyBrew's Facebook Page; Sheppy's Twitter Feed;SheppyBrew's Instagram Page; and SheppyBrew's Website. Of course, don't forget to visit this blog often as well!